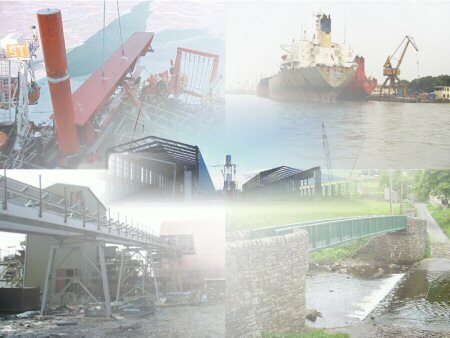 Damor Engineering Ltd are consultants engaged in all areas of engineering analysis, design and project execution. From our offices in the north of England, we provide a full range of project and engineering services to almost any industry. Fully-qualified personnel include the company's Principal Engineer, who is a Chartered Mechanical Engineer with over thirty years experience in the design and development of a diverse range of equipment throughout a wide range of industries. Damor Engineering Ltd have direct experience in the design of equipment for use in Marine, Offshore and Subsea environments, in addition to servicing the engineering requirements of the Petrochemical, Chemical, Pharmaceutical, Metals Processing, Automotive, Mining and General Engineering industries. We also have a wealth of experience with Primary Aluminium Smelter operations, including the preparation of Feasibility Studies, design of plant layout and production of detailed specifications for specialist equipment used in the carbon plant, reduction rooms (potrooms), casthouse and associated facilities. Damor Engineering Ltd operates its own Quality Assurance system based around the requirements of BS EN ISO9001 : 2000. We have recently moved offices and therefore please use the new address and telephone number as shown on the left, with immediate effect.